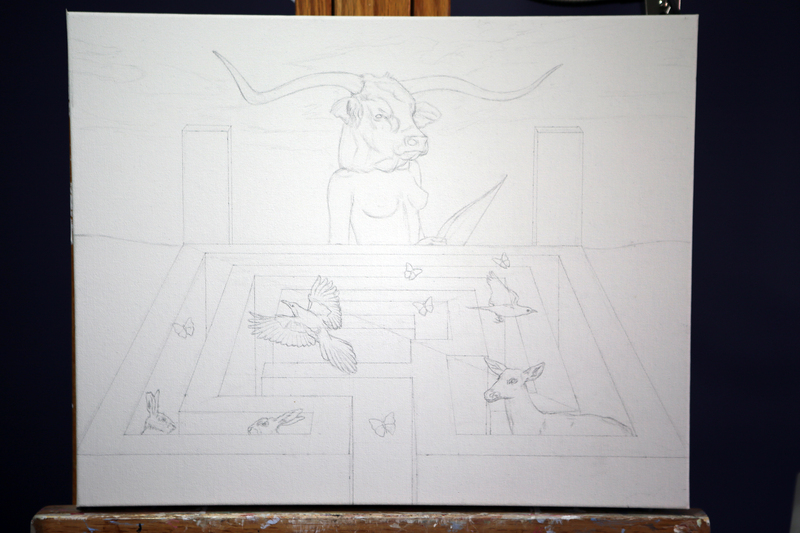 I have a new painting currently in progress. This piece will be another addition to my In Our Veins series. 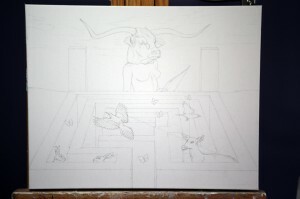 At the moment, it is a sketch on canvas- the leftover perspective lines will be removed and the sharp angles are only for reference at the moment- those will be changed. It is 20″ wide by 16″ high. I’ll be posting more progress photos soon. In the meantime, view the series online here: http://amyguidry.com/wild_west.html and don’t forget the second page here: http://amyguidry.com/wolfpack.html.